Something about a trench screams spring… and glamour. From Brigitte Bardot to Alexa Chung, the trench has been a coveted wardrobe staple for decades. Think of it as a classier version of your childhood raincoat. And the tench is so versatile: It’s rather functional as a way to keep dry from spring showers, but it can also act as a statement piece, paired with simple jeans and loafers. The classic beige shade will last a lifetime, but this spring, spruce it up a bit with a pop of red, white or even blue! 1. Burberry Mid-Length Technical Double Satin Trench Coat – The most classic of all trench coats (and my personal favorite), Burberry’s Technical Double Satin will be a staple piece for eternity. It has a slim-fit, hits mid thigh (great for us ladies who aren’t 6 feet tall), and has a belted waist for a feminine silhouette. 2. 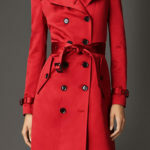 ASOS Classic Trench ($89) – I’d say this is most similar to the Burberry, but for a fraction of the cost. It’s cotton, not satin, and it has padded shoulders but otherwise the belted waist, oversized collar and storm flap detail rival that of the UK powerhouse. 3. 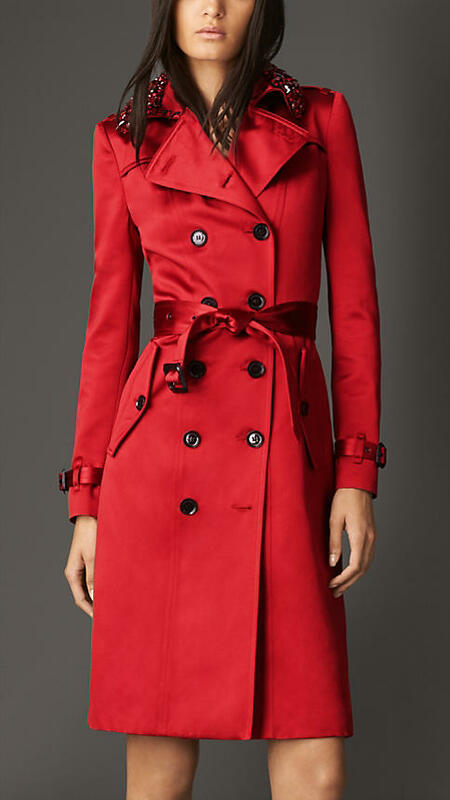 Burberry Long Gem Collar Satin Trench Coat ($3995) – Add a pop of color to your wardrobe with this gorgeous red silk/ satin trench. 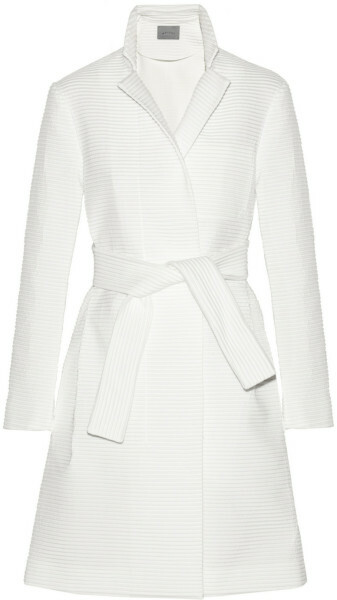 The belted waist, oversized collar and back pleats help to give this coat an elegant fit. 4. 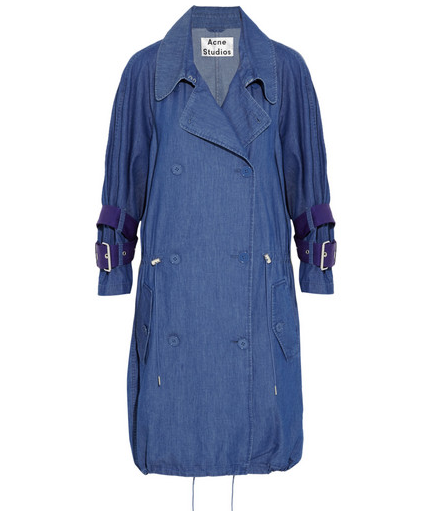 ACNE Denim Trench ($610) – This is such an unique piece! 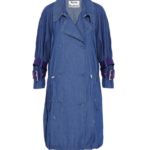 The denim trench is oversized with a drawstring at the waist and hem to provide more structure. The purple belted cuffs give this piece a stylish twist. 5. Maiyet Ribbed Jacquard Trench Coat ($1995) – The ribbed fabric and start white shade will make this a statement piece for years to come. Cut loose with a stitched chest, slit pockets, elasticated ruched back, open front, and waist tie to cinch shut. Gorgeous!